March 28, 2016 | Kevin M. Mazza, Esq. It is that time of year when us practicing New Jersey attorneys submit our registration renewals and pay any required fees in order to continue to be able to practice law for the coming year. Despite its trials and tribulations at times, practicing Family Law, and assisting my clients through what is an often difficult, emotional and challenging set of life circumstances, it is not only rewarding and satisfying, but is a privilege as well. Indeed, the ability to practice law is considered a “privilege” and not a “right.” Like many other professions, attorneys must be licensed to be able to practice their profession after satisfying various rules and requirements established not only by the profession’s governing body-in this instance, the New Jersey Supreme Court- but by the State as well. Besides such occupational licenses, there are numerous other types of licenses that the State may issue, whether they be licensed to drive, participate in recreational activities (i.e., hunt, fish, operate a boat, etc.) 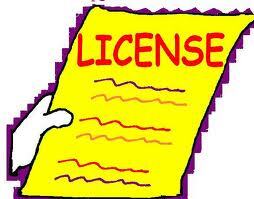 These licenses too are generally viewed under the law as a privilege, and not a right. Whatever the former type of such licenses, a failure to comply with certain rules, regulations and requirements attendant thereto may run the risk of that license being revoked, suspended, or in certain circumstances, lost in its entirety. When it comes to the practice of law, the risk of one’s privilege of doing so is generally considered as involving some sort of serious violation or breach of an ethical duty or responsibility. However, this is not necessarily the case. Although being an aspect of the Rules of Court for some time, the recent September 2015 Amendments to those Rules, included various procedural and substantive modifications affording the ability of courts to deny, suspend and/or revoke licenses, including occupational, recreational or drivers’ licenses, should that license holder be deemed to be in violation of his or her child support obligations. This would include allowing for the suspension of one’s license to practice law. Drawing from the statutory authority, pursuant to N.J.S.A.2A:17-56.41 to 56.52, the newly adopted R.5.7-5 details the guidelines and procedures governing the denial, suspension and/or revocation of licenses as an enforcement mechanism to deal with violations of child support orders. Subparagraph (1) sets forth the nature of the non-compliance which may give rise to such enforcement measures, including where (A) child support arrears equal or exceed the amount payable for six months; or (B) Court ordered healthcare coverage for a child is not provided for six months; or (C) the obligor fails to respond to a subpoena relating to a paternity or child support action; or (D) a warrant for the obligor’s arrest has been issued by the Court, due to the (i) failure to pay child support as ordered, (ii) failure to appear at a hearing to establish paternity or child support, or (iii) failure to appear at a child support hearing to enforce a child support order. Subparagraph (2) provides that a license to practice law may be suspended under the same statutory standards as other occupational licenses, and providing that any such order include a notification to the Supreme Court to suspend the obligor’s license to practice law. Rule 1:20-11A includes further considerations concerning attorneys under these circumstances. Subparagraph (3) provides instruction for the Probation Division’s transmittal of any order denying, suspending or revoking an obligor’s license to the appropriate licensing authorities. Finally, subparagraph (4) sets forth the mechanisms and procedures affording the relief from such order and/or for the restoration of an obligor’s licenses. It should be noted that the ability to deny, suspend or revoke licenses is just one aspect of a comprehensive scheme of enforcement procedures and mechanisms under mandates established by the Federal Government years ago to strengthen the establishment and/or enforcement of child support obligations, particularly as to what is generally regarded as Title IV-D matters. To be clear, the risk of having one’s license suspended, revoked or denied, or an obligee’s ability to pursue such relief does not arise from any violation or non-compliance with a child support obligation (i.e. one or two late or missed payments for example), but rather where there has been a long-term period of non-compliance (i.e. at least six months of arrears), where a warrant for arrest has been issued or where an obligor fails to respond to a subpoena, or to appear for a hearing. Generally, an obligor is to be afforded notice and an opportunity to be heard before any such order denying, suspending or revoking his or her license is issued. Obviously, most would consider this to be a fairly extreme remedy. It is, but rarely does it even reach this point, as the mere threat to losing one’s occupational license, the ability to drive, etc., serves as sufficient motivation to compel compliance, where there is truly an ability to do so. Even for an obligee, the aim often is not for there to be the actual loss of license (and thereby effecting the obligor’s very ability to earn, so as to meet those support obligations going forward), but merely to secure payment and compliance. While the provisions of Rule 5:7-5(b) appear to be applicable only to child support-related obligations and orders, the question may be asked as to whether such an enforcement mechanism providing for a denial, suspension and/or revocation of an obligor’s occupational, recreational or driver’s license may be issued in cases of child support orders not payable through the “probation division” or with regard to alimony obligations. The answer would appear to be in the affirmative. Namely, under Rule 5:3-7(b), courts are afforded a broad list of enforcement remedies available to address violations of alimony or child support orders, including (3) suspension of an occupational license or driver’s license consistent with law, as well as (8) any other appropriate equitable remedy. I believe that the qualifying language “consistent with law” would be considered by the Court, the procedures and guidelines otherwise included in N.J.S.A. 2A:17-56.41 to 56.52 and Rule 5:7-5(b) at this juncture. Whether representing an obligor or an obligee, the potential license denial, suspension and/or revocation is a significant, but often overlooked, enforcement remedy. License beware!